This week is a Sophie’s Choice of games. Obviously you’ll have preferences of one over the other, but as for saying which game is the release of the week? I think it would be easier to pick a soulmate in a BioWare otome. Of course, I’m talking about the trifecta of Spyro Reignited Trilogy, Hitman 2, and Fallout 76. I can’t believe there are not any smaller titles releasing this week. But then again, with this lineup, perhaps they didn’t want to dare compete. The trifecta may not want to compete with one another! But since there can only be one, I will have to say that Fallout 76 is the release of the week. Hear me out, please. Put down the torches and pitchforks. Save them for the upcoming review. My reason for choosing Fallout 76 lies in the fact it’s the only one of the three games that is trying something new. From our Hitman 2 preview, we know that Agent 47 isn’t trying anything radical. He’s done the episodic format, he’s killed nuns. It has a multiplayer element, but its main focus is the single-player portion. Spyro is a remastered version of the original three games. It says so right there in its name: Spyro Reignited Trilogy. Love or hate what Bethesda has decided for this upcoming Fallout game, you have to admit that going the MMO route is something they’ve never done with a Fallout game before. As Cian pointed out, in many ways this makes perfect sense for a Fallout game. Since Fallout has never been about playing as the last person on Earth, why not have other players be the other survivors? 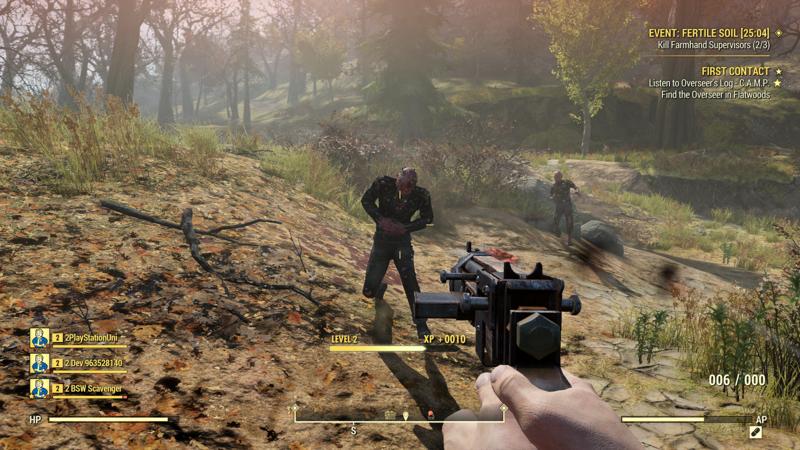 Fallout 76 is a big risk for Bethesda. This is most certainly not the Fallout fans have been looking for. It’s possible it could fail. It’s possible it could do okay like The Elder Scrolls Online. And it could be the massive success Bethesda hopes it will be. I know I’m terrible at predicting successes with games unless it’s Madden NFL or Call of Duty. Which of these three is your personal release of the week? Do you think Fallout 76 will be a success? Let us know!